A smoothie is a great & fast way to get your greens in daily. You can change it up and add your choice of fruit. One of my most FAVE tools is my Blendtec blender. 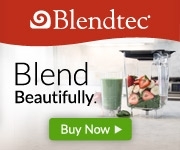 Click below for more information and FREE SHIPPING on your very own Blendtec! Place all the ingredients in a blender and mix until smooth. They have been providing healing remedies, unique and unusual beauty products and hard to find apothecary items since 1838! I highly recommend their Rose Salve as a lip balm, nail strengthener and moisturizer. You can use it all over your body and it smells divine! They must be doing something right they’ve been around since 1838! 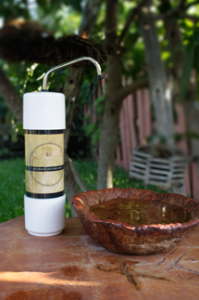 ANTI-AGING AKALINE WATER PROCESSING UNIT ~ SOOO TASTY! Contact me for more information on this wonderful, healing product! I need to buy some Essie goal oils and a defused. I have followed you for ever on Instagram and love and admire your posts. What a small world my dear friend Jeffery Coleman knows you also . I hope your able to call me or guide me where I can buy these oils as soon as possible for my husband and myself.